What is required for Customer Identification Process (CIP)? Per the Federal requirements of the USA PATRIOT Act, Zing Money members must provide their legal name, physical address, the last four digits of their Social Security, and date of birth. 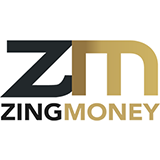 Zing Money additionally requires a phone number.